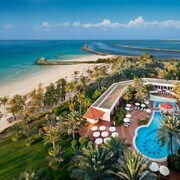 Now that you’re all set to visit Ajman, it’s time to consider where you’d like to stay during your getaway. This is where ebookers makes life easy. 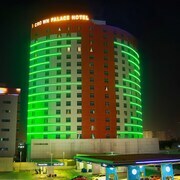 By using our simple search tool, you can check out the best hotels in Ajman in seconds. You can view your potential pads on a detailed map of the state, which will let you see exactly where they lie in relation to various landmarks and attractions. Speaking of which, you can even search for places to stay near specific sights. We also have concise hotel descriptions, featuring photos and write-ups about the guestrooms and amenities, so whether you’re looking to treat yourself to a high-end hotel, or want somewhere that will fit a tighter budget, you can make an informed choice in no time. 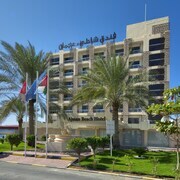 No matter where you happen to be travelling from, ebookers makes it a cinch to plan the trip to your hotel in Ajman. You can search for flights to , and immediately see which airlines and routes are on offer for your chosen dates. After comparing prices and settling on the right flight, you can then arrange to have a vehicle waiting for you when you get there. Just take a look at our car hire deals and pick out a deal you like. One of the plus points of hiring your own car is it’ll let you get out there and see the more remote or rustic areas of Ajman, where hidden gem restaurants and attractions await. When you’re on holiday, you’d be forgiven for wanting to spend quality time relaxing in your guestroom or lounging elsewhere in the hotel. When it comes to exploring Ajman itself, we’ve got you covered with some great ideas for your to-see list. Just go over to our Things to Do tool, which will reveal some popular sights, landmarks and attractions near your Ajman hotel. Whether you’re here to relax and amble around, or want to make a beeline for cultural and historic hubs, ebookers makes it easy to plan your ideal stay.